The future of the baking industry lies in the skills, expertise and passion of aspiring bakery students and professionals. 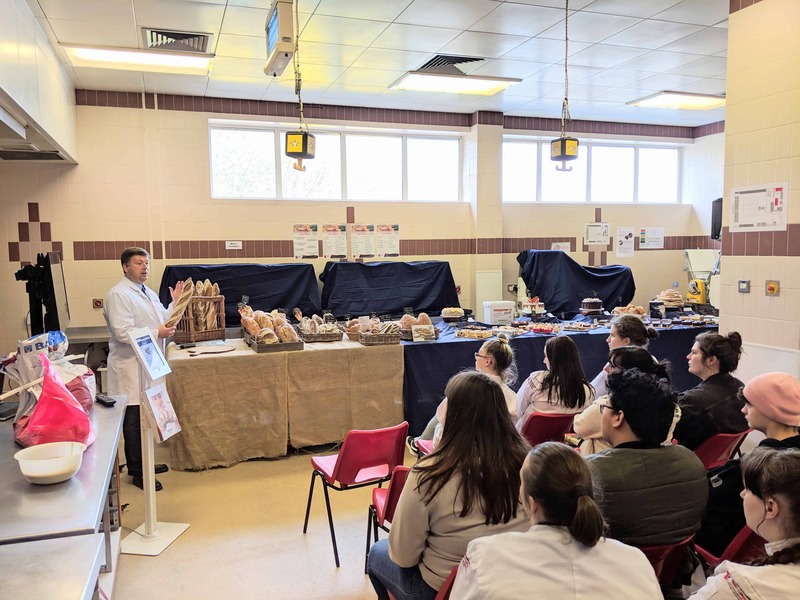 That’s why Bakels teamed up with Bako Wales and Neath college to deliver a two-day bakery showcase for Students and Bakers, showcasing the key trends in the UK market today. Day one of the showcase invited years 1-3 bakery students from Neath College to attend a presentation delivered by the Bakels team. 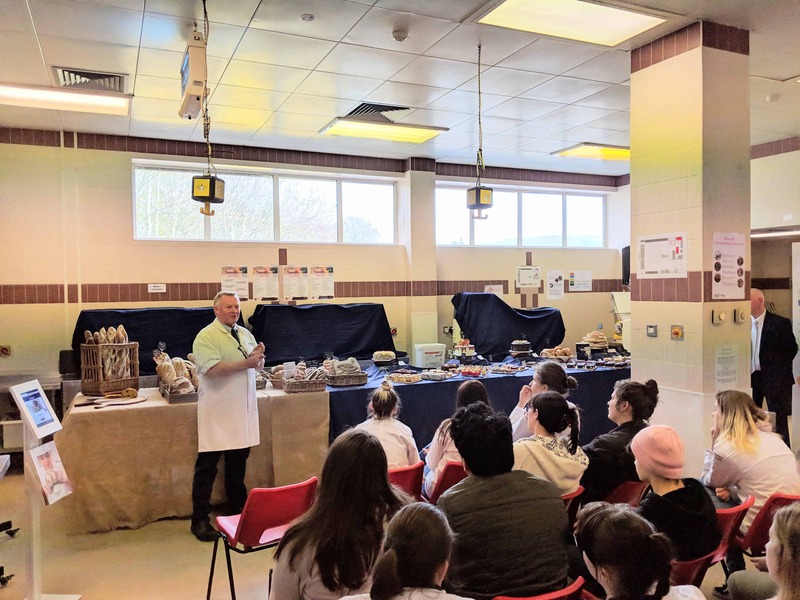 The talk gave students a flavour of how a large bakery ingredients manufacturer operates and examples of how they can use their academic skills in a commercial business. 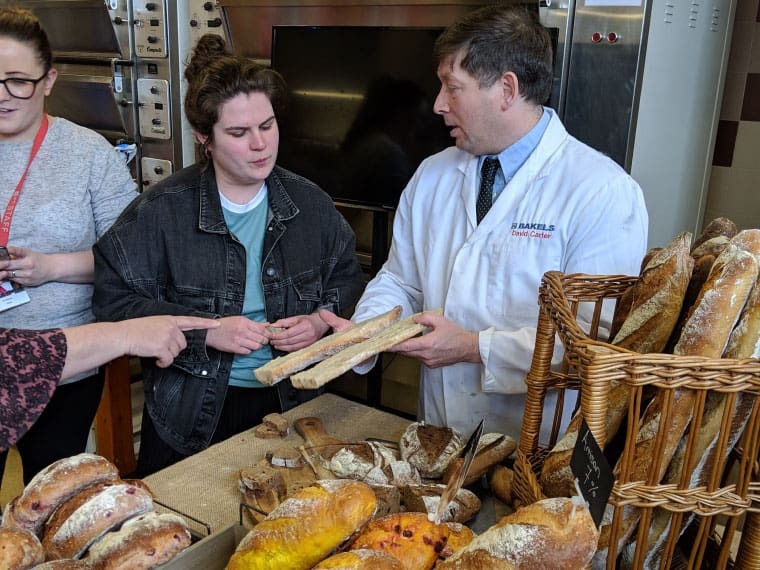 Since market trends form the crucial foundation of New Product Development at Bakels, students were given a presentation by Marketing Manager at Bakels, Michael Schofield, on key insights in the UK bakery market, along with a range of themes arising from the London bakery market, a hotbed for bakery trends. With 24 in attendance, the product presentation followed, covering the wide range of trends featured and giving students an opportunity to taste the products and grill the team – Technical applications experts David Carter and Gary Thorns were on hand from Bakels to give students an insight into the opportunities available in the industry and what they can expect in pursuing a career with a bakery ingredients manufacturer. 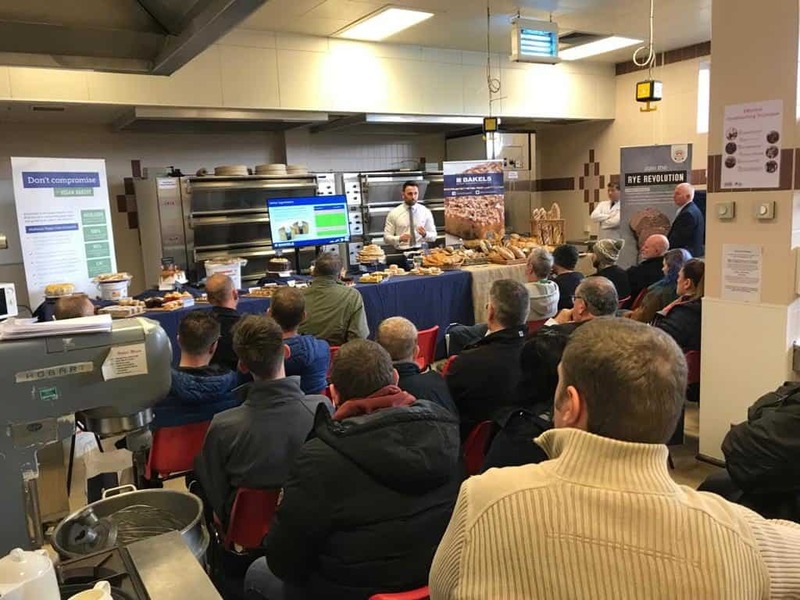 Day two saw 30 bakers attend the showcase and concepts presented to explore opportunities to boost their sales. The presentation, which included an extensive tasting session, excited bakers who were very keen to pursue on trend concepts to boost their add-value ranges. 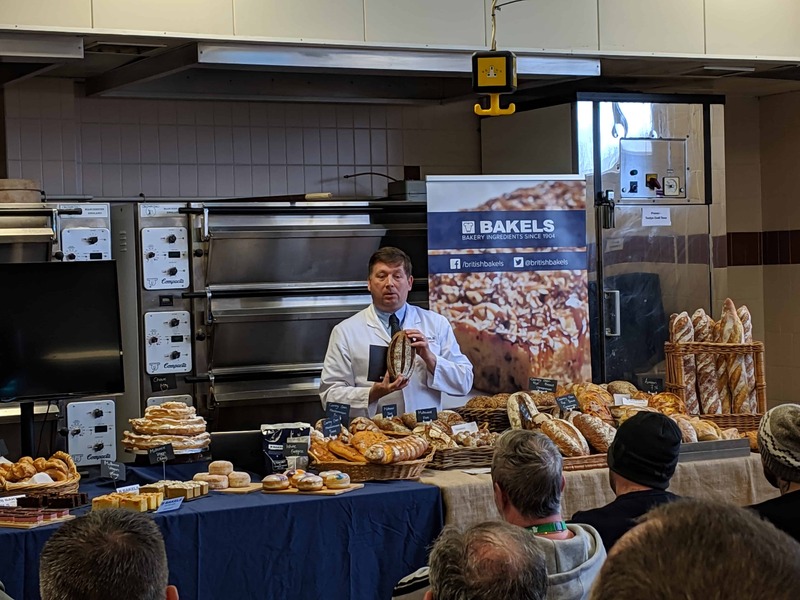 David Carter from Bakels provided a range of innovative ideas using the popular Country Oven Speciality Bread ingredients, coupled with a blend of the Fermdor Sourdoughs and other wholesome ingredients. Wholesome breads such as Multiseed and Oat and Barley featured, which illustrated the opportunities available to produce nutritious bread. Gary Thorns from Bakels presented a range of creative confectionery ideas, using bakers’ favourites such as True Caramels and Confectionery Fillings and Icings. 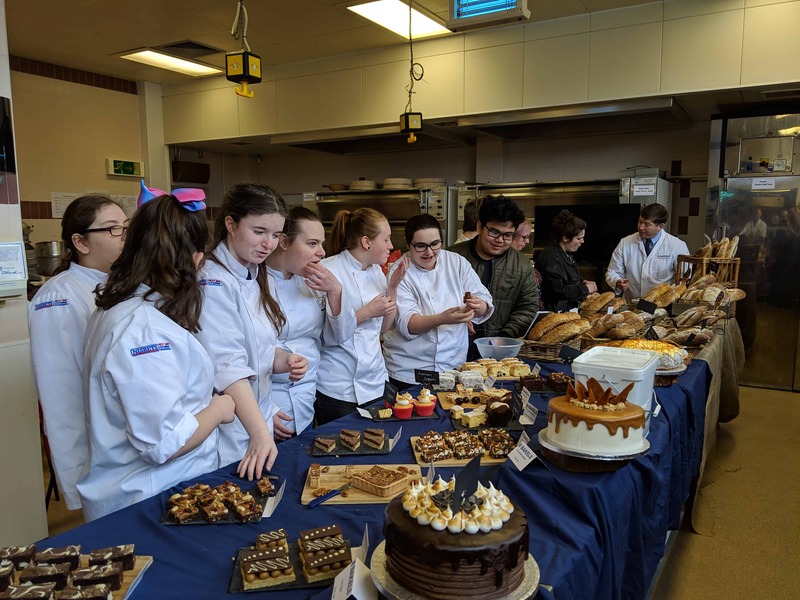 Since cake products are predominantly purchased on impulse, presentation is everything and something Gary demonstrated and provided tips on, to the students and bakers. For students, it gave an insight into the importance of application innovation and ingredients. 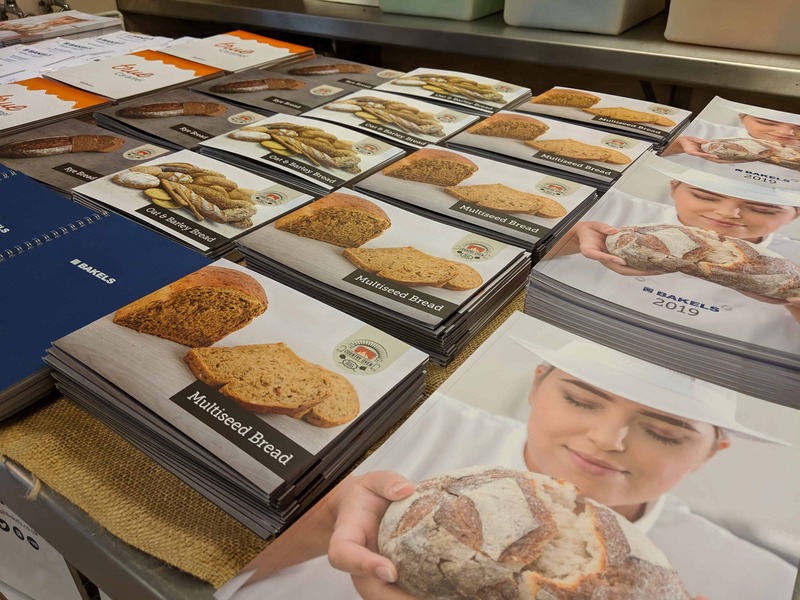 For bakers, it showcased the versatility and quality of Bakels bakery ingredients and how they can seamlessly fit into their bakery businesses. 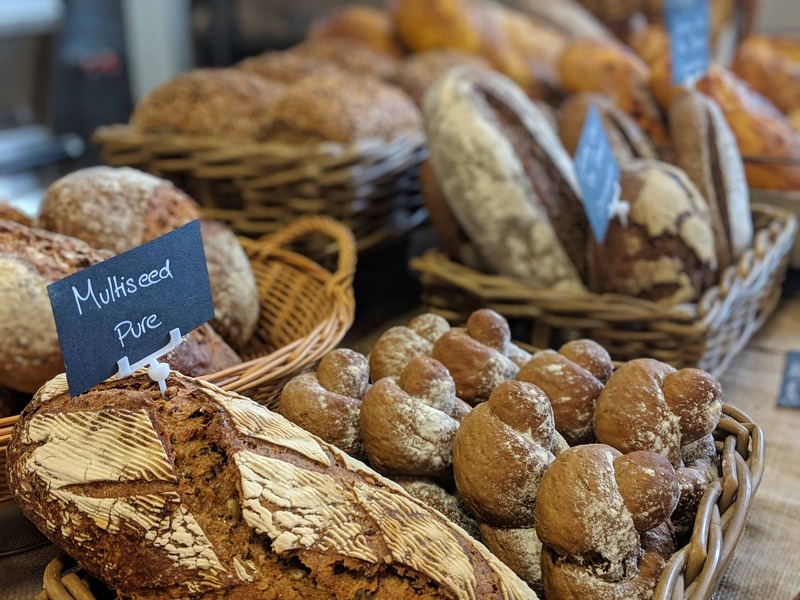 Rye breads as a current UK market trend gained significant interest. 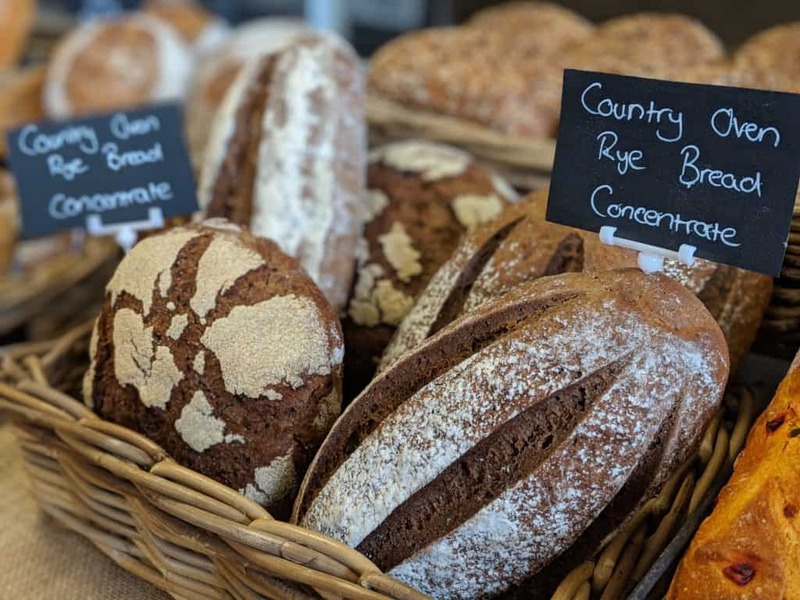 Country Oven Rye Bread Concentrate presents bakers with the opportunity to produce a range of rye breads, using the same method and only small tweaks to the base recipe. Naturally the sweet goods attracted plenty of interested, such as Salted Caramel, which is popular in a wide range of bakery goods today and also vegan cake products. Since there are over 600,000 vegans in the UK according the Vegan Society at the end of 2018, the rise of veganism is set to stay and something student and bakers expressed particular interest in. Since vegan is the most active area of New Product Development within the Free From category, Bakels have recently launched the versatile Multimix Vegan Cake Complete, requiring only the addition of water and oil, for great-tasting cake with good shelf life. Bakers expressed desire for ingredients which have multi-uses, thus Multimix Vegan Cake Complete presented a great opportunity for them to take advantage of the key trend, while also consolidating their ingredients supply.